WEST KELOWNA, B.C. – The Trail Smoke Eaters used a four-point night from Hayden Rowan as well as four power play goals to help them to their first regular season victory in the way of a 6-4 defeat of the West Kelowna Warriors on Saturday night at Royal LePage Place. Hayden Rowan continued his strong start to the season with a goal and three assists as well as a big night from Michael Hodge with a goal and two assists as the Smoke Eaters offence came alive with six goals to give them their first win of the regular season. Trail opened the scoring in the game, and it came quickly, just 1:32 into the game on a fortunate bounce finding the stick of Mack Byers. A shot from Michael Hodge went off a body and right to Byers in the slot who got enough of the puck to push it past Warriors netminder Connor Hopkins on the glove side for an early 1-0 lead. The Warriors took the momentum with two quick strikes in 21 seconds as Willie Reim scored at the 8:11 mark to tie the game before Sam Anderson gave the Warriors their first lead of the game at the 8:32 on a backdoor pass to give West Kelowna a 2-1 advantage. One of the four Smoke Eaters power play goals got the game tied once again at the 10:13 mark with returning defender Trevor Zins finding a lane through a sea of bodies in front of the goal from the right point and through the legs of Hopkins to tie the game at 2-2 after the opening period. 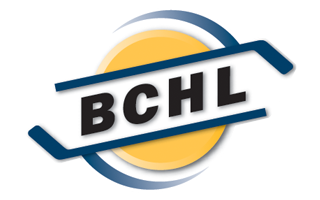 There would only be one goal in the middle stanza and came off the stick of Hodge for his first BCHL tally and the second lead for the visitors in the game. Carter Jones spotted Hodge in the left-wing face-off circle as he wristed a shot past Hopkins on the blocker side to give Trail a 3-2 lead at the 10:52 mark of the 2nd period. Early period goals were a theme in this game as the Warriors would be next to find the back of the net just 1:59 into the final regulation period on a power play of their as Chase Dubois one-timed a puck from the bottom of the left circle over the shoulder of Smoke Eater netminder Adam Marcoux to tie the game at three. The game did not remain knotted up for long, as just eight seconds after the Dubois tally, Kent Johnson gave Trail the lead back. 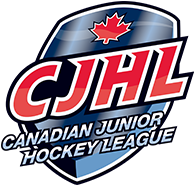 After a scramble in the West Kelowna zone, Braeden Tuck spotted Johnson in the right circle as he slid a shot past Hopkins to push Trail head by a 4-3 score. Jeremy Smith gave the Smoke Eaters a 5-3 lead with another power play marker at the 4:48 mark of the frame as it came just four seconds into the man advantage. Smith received the puck at the midpoint after a face-off win and snapped a shot past Hopkins for the 5-3 lead. Parm Dhaliwal edged the Warriors closer at the 8:42 mark with a goal through the legs of Marcoux in tight but Hayden Rowan’s second goal of the season on a deflection of a Zins point shot on the power play was the dagger in a 6-4 victory for the Smoke Eaters. Adam Marcoux turned aside 26 of the 30 shots he had to face in the game for his first victory of the season while Connor Hopkins stopped 24 of the 30 shots thrown his direction in his first defeat of the new season. The Smoke Eaters (1-0-0-1) have the week off before getting back in action on Friday night as they host the Salmon Arm Silverbacks (1-0-0-0) at the Trail Memorial Centre. Puck drop is slated for 7:00 PM with tickets available for purchase at the Smoke Eaters Main Office ahead of the game’s opening face-off.